One East Bay company has started gathering supplies to send to those affected by flash floods as a result of Hurricane Florence, now entering its second week of destruction in North and South Carolina. 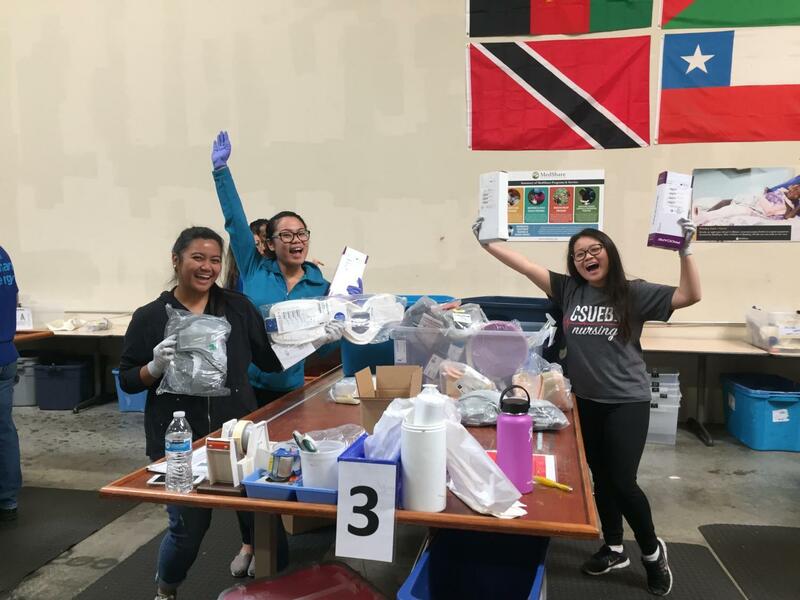 MedShare, a San Leandro organization that redistributes surplus medical supplies around the world, is collecting and donating toiletries, diapers, extra clothing and medical supplies. This humanitarian aid organization has had an open location in San Leandro for 10 years and has provided medical tools and supplies to other hurricane survivors, such as Hurricane Maria in Puerto Rico on Sept. 2017. “Many hands make for a light load,” said Eric Talbert, the western regional director of MedShare as he referred to the hard-working volunteers at MedShare. The 50,000-square-foot donation center ships out supplies after two rounds of careful inspection by its volunteers. MedShare is partnering up with local volunteering doctors and paramedics are travelling to North and South Carolina along with the donations. Three California State University, East Bay alumni volunteered for MedShare this week and expressed their gratitude for the opportunity to provide assistance to those in need. Most donations for Hurricane Florence have been brought in by the community and its volunteers, but many of the supplies delivered by MedShare are donated by hospitals. The box for the victims of Hurricane Florence is expected to be inspected and organized this week.